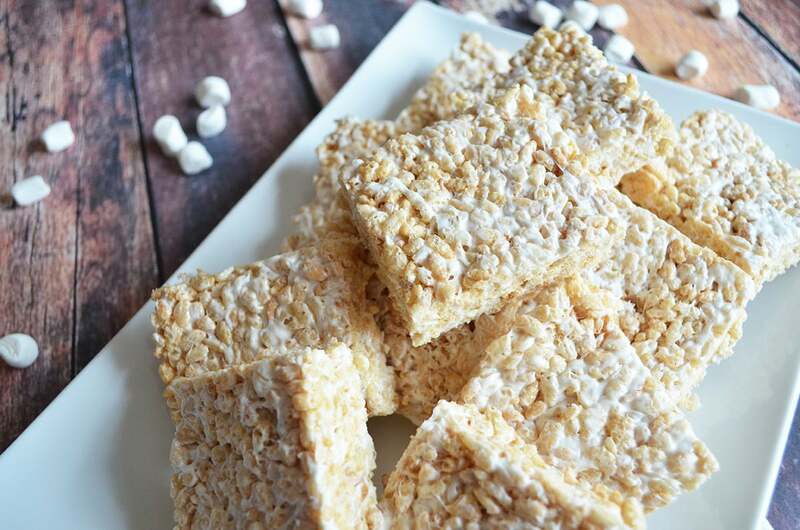 My favorite Classic Rice Crispy Treats recipe with the perfect ratio of butter, marshmallow and rice cereal. Some things are meant to be left uncomplicated, like this classic dessert. This is my no fail perfect ratio of gooey goodness that puts a smile on most everyone’s face. I recently posted the picture below on my Instagram account. I had just whipped up a batch of treats and literally scrambled to get them into my little’s mouths so that the screaming would stop. Everyone was just in a foul mood that afternoon, but these seemed to settle the air a bit. After the kiddos chilled out, smiling and indulged in their treats, it left me feeling recharged to survive whatever tantrum broke out next. All while praying bed time would just come quickly that evening so I could indulge in all the rice crispy treats my heart desired over a glass of vino. 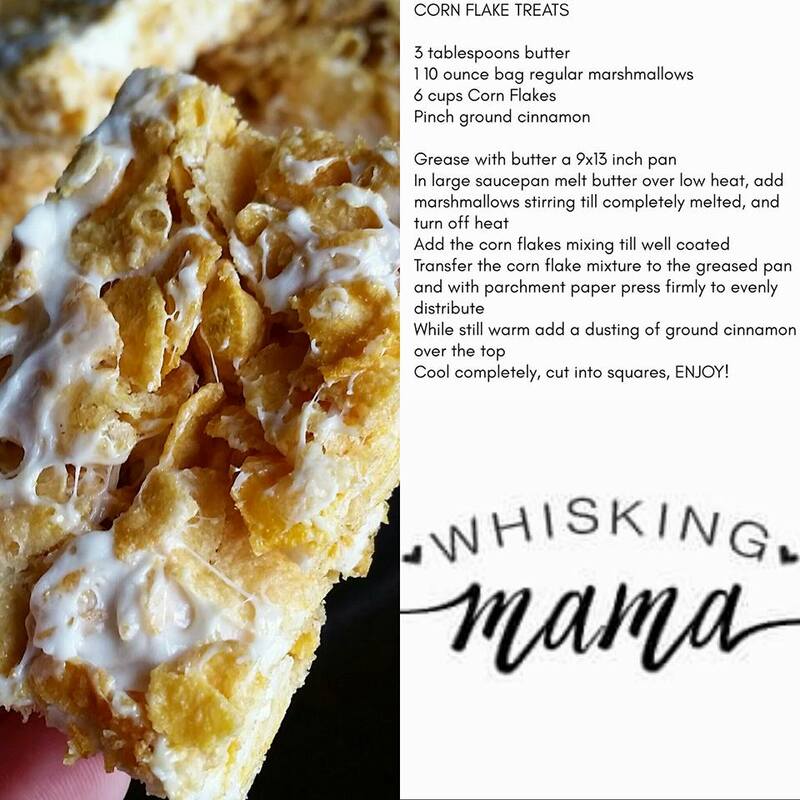 Then last month I posted on Facebook this recipe pictured below for Corn Flake Treats. Corn Flake Treats puts a simple and delicious spin on a already delicious and classic treat. Again not complicating but elevating the texture a bit, just to change it up. Currently I can not pick which version is my favorite because it just depends on my mood. 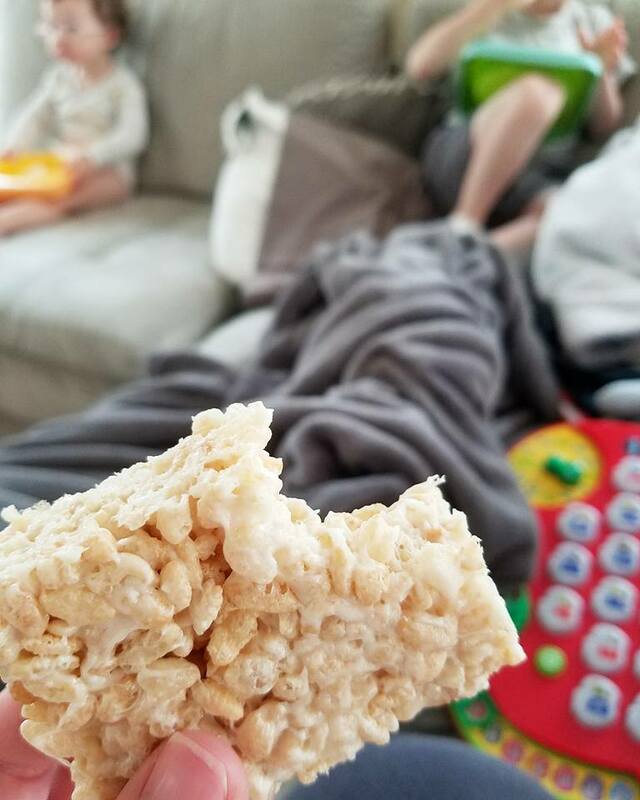 Rice Crispy treats are a bit lighter texture, where I find the Corn Flake Treats have a bit more chewy texture, with the cinnamon adding a nice balance of flavor.